Our console combines two worlds, respect their rules and codes, to share new gaming experiences. It offers the great spectacle of video games and the friendliness of physical board games. Physical objects are pure vectors of friendliness, we can share, move, use, and even customize them. 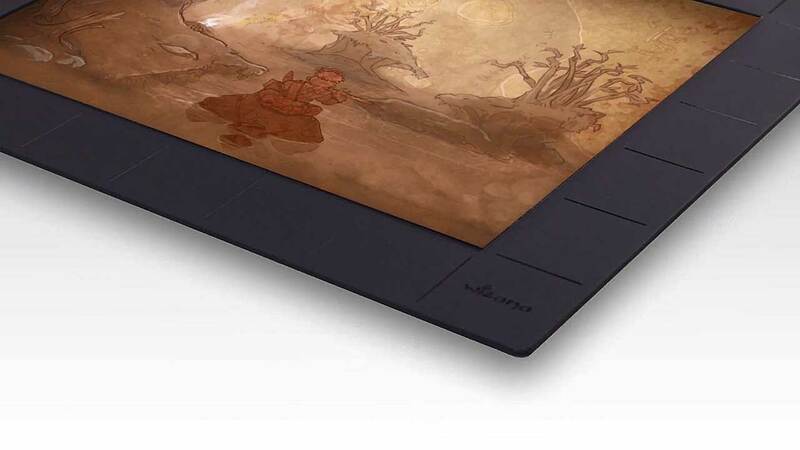 SquareOne® gives life to these real objects to amplify the gaming experience and facilitate its discover. Learning the rules becomes simple, let the game show you how to play. Shuffle the card deck, pick several in your hands like in any board game. Then play it on the console to see the magic happens. Every card is recognized naturally when you play it, you can just enjoy its effect. Touch a pawn and take control of every characters by moving it over the screen. Position and orientation are detected allowing to give life to every pawn. Feel the dice in the palm of your hand. This sensation is essential for many games. So take it and roll the dice in our dice track. 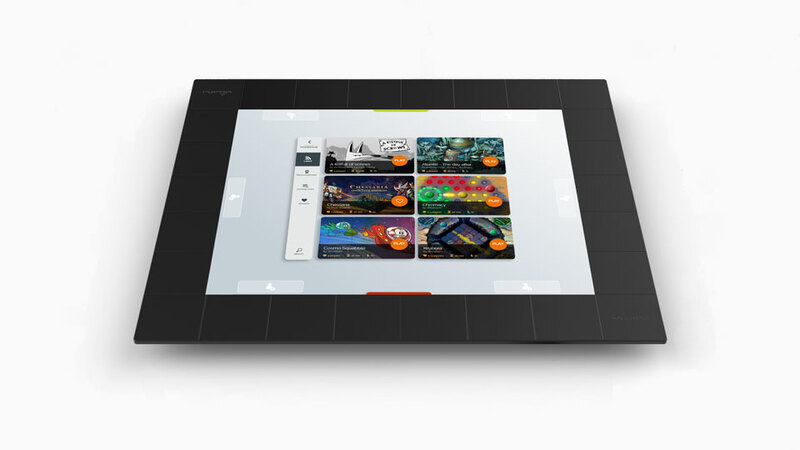 SquareOne recognize the score and the game continue automatically. The game experience does not limit to SquareOne screen. The overall border of the console can be used and customize to immerse players in the game universe. Places a skin over it, and the corresponding game launches automatically. Tired of reading endless rules? Just play! SquareOne explain how to play when you want directly in games. It's easier, on demand, and can be available in all players languages directly in front of them. Start a game one day, and continue later. SquareOne remembers how to position every pieces when resuming. Whatever you prefer playing in friends house, or outside sitting on the grass, thanks to its battery, you can bring SquareOne everywhere with you! Enjoy a better immersion in your board games thanks to incorporated audio speakers. Some new gameplays are also now possible. Play together even with other language players. The console is able to display every text individually in players language. experience of your favorite board games. The game store is the place where you can have access to a large selection of all type of games. It is available directly on SquareOne®. Anytime and anywhere, you can always find a game that fits your desires. Stay tuned to get information. on our console, you are welcome!! We have already meet lots of players on various conventions in all Europe. It’s only the beginning and we will continue to get your feedback to make the best product ever for players. By subscribing to the newsletter, receive the latest information, be informed of shows and events in which Wizama participate, and stay up to date with the games in development.